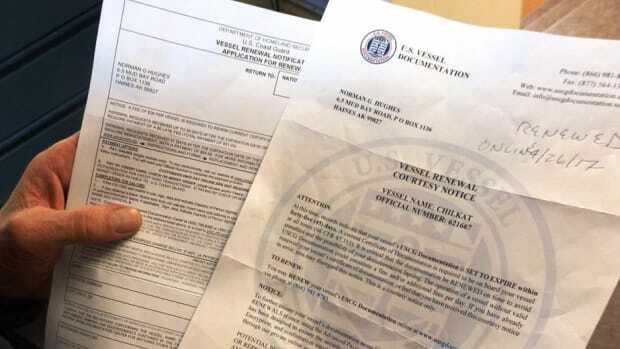 This vessel owner received two letters telling him to renew his Coast Guard documentation. The one on the left is from the Coast Guard. The one on the right is from a third-party company that charges three times as much.